The Rebel Sweetheart. : Great Commercial Flooring Options. Depending on what type of building is having the flooring put in, some options will be better than others. Whether it is an office, school, store, or a manufacturing facility, there will always be some factors to always consider before deciding. The main goal for most commercial flooring consumers is to receive a combinations of cost efficiency, durability, visual appeal, and practical maintainability. This is one of the most popular materials for flooring due to its easy maintenance, very high durability, stain resistant ability, and best of all, its cost efficiency. Resilient flooring is made from materials such as vinyl, rubber tiles, linoleum, and vinyl composition tiles. These come in multiple different designs, so finding one to match the area is not hard at all. Almost any commercial environment can have resilient flooring. Although carpet sheets are used in residential settings, tiles have been gaining popularity among some commercial businesses and organizations. Carpet tiles are usually within 1 or 2 feet squares that can be combined with different colors to make certain designs or have a unique look. Due to the small tiles, if one becomes damaged or stained, its especially easy to have it replaced with another tile. Wood is going to have a much higher upfront cost when compared with most other flooring options. Although it has a higher cost, it can also be the longest lasting flooring if maintained properly. Wood flooring has always been considered to be elegant and classy that no other flooring option can provide. 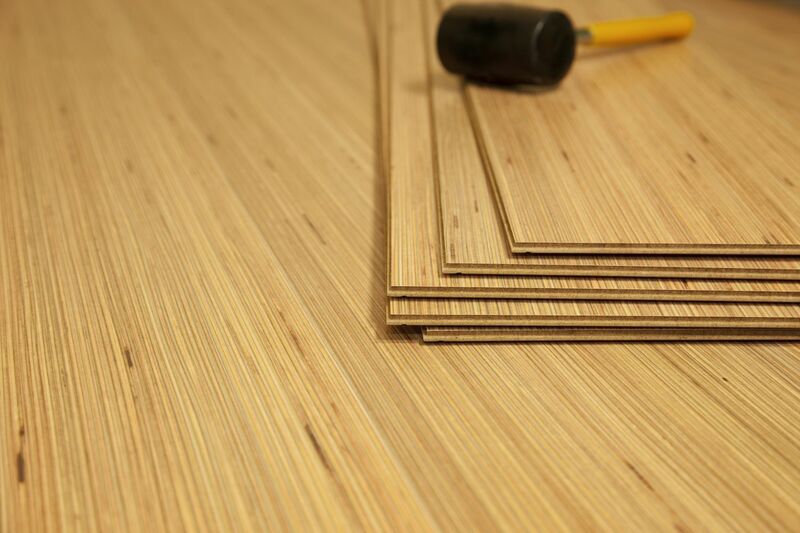 If the cost of the wood is too much, then laminated wood flooring might be a better option. Although it looks quite similar, has a much shorter life span and the looks of it can change at a rapid pace if not maintained. While concrete flooring is the cheapest and most durable solution to flooring, it usually isn't that pleasant to the eye. This type of floor is great for warehouses or any other industrial buildings that do not require any elegant designs to help branding or impress customers. Concrete can be stained patterned, or sealed to help increase the visual appeal, but its effects are usually minimal. This is another great option that might have some extra upfront costs, but in the long run, will be cost effective due to its high durability and ability to easily be maintained. These are very popular in restaurants and other high customer environments because of the elegance that comes with them. There is many different types of stone flooring so there is an amazing range of different colors and textures that can be used to customize any flooring. No matter what type of stone is used, it will turn out great and be very beneficial. These are just some of the options for commercial flooring, but they should get you headed in the right direction. The biggest part of commercial flooring is finding a great flooring company like http://www.r-tekmanufacturingltd.com/ to help make the decision. Great writeup! I have always wondered which kind of flooring is the best for commercial floor covering. It looks like Engineered wood flooring is the best for commercial use since it is more durable and cost effective. I think it is a good solution for homeowners too! I agree! The cost, durability, visual appeal and practical maintainability should always be considered when choosing flooring. It should be something that fits for your flooring needs. Thanks anyway for sharing this information.